Our plans and pricing are tailored to suit your budget and needs. Fixtel specialises in the maintenance and repair of new and existing telephone systems. We offer maintenance and repair plans that protects the health and increases the longevity of your phone systems. Our goal is to ensure that your telephone system is operating at optimum capacity and to correct minor issues before they escalate into serious problems that can disrupt business operations. Having a maintenance contract also means that in the event of system failure, you’ll have priority service for minimum downtime and peace of mind. We offer telephone system maintenance plans that are designed to fit your specific business needs, budgets and risk tolerance. Importance of Telephone System Maintenance? Get the most out of your telephone system by keeping your existing equipment in working order for as long as possible. The cost of a maintenance agreement is far less than the cost of replacing your entire phone system. Regular maintenance of your system helps hardware longevity and minimises the risk of unexpected downtime. It’s more important to correct minor issues found during a routine check-up than waiting until the system breaks down. Save more money through a maintenance contract with us. We will keep your telephone system in good shape and make sure you’re always prioritised and taken care of in the event of a breakdown. On top of that, you can enjoy discounted labour rates* for extra work not included in the agreement. Save yourself the time and energy looking for an available technician during a time-sensitive period. They will be unfamiliar with your system if they have never worked for you before and they will still charge you a hefty call out fee even if they are not able to fix the problem. System downtime will be minimised, and problems will be resolved faster through remote diagnosis and maintenance. Our technicians will be able to access your system remotely to diagnose the problem before arriving on site to effectively repair your phone system on the first visit. They won’t need to ask about how your phone system works as they will already be familiar with your setup through the routine maintenance visits. 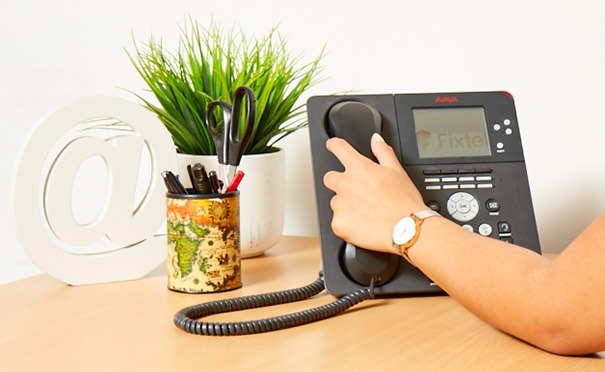 If you’re unsure what your existing telephone system currently requires, speak to our experts today on 1300 FIXTEL or send us an email on service@fixtel.com.au for a free quote. We will perform a detailed assessment of your existing communications system and can arrange a service agreement that will suit your business’ communication needs. Services not part of the agreement scope are chargeable using discounted agreement rates as part of the offered Maintenance and Support Service.